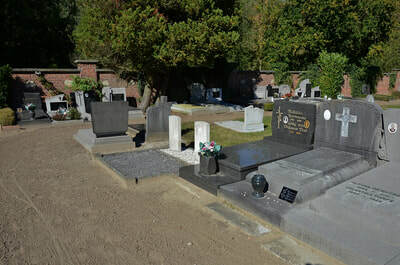 The village of Onze-Lieve-Vrouw Waver is located south of the town of Lier off the N10, which runs between Lier and Aarschot. From Lier take the N10 direction Aarschot and drive to the village of Koningschoot, at the crossroads turn right into Bernard van Hool straat and follow this road to the next junction, there is a church in front of you. 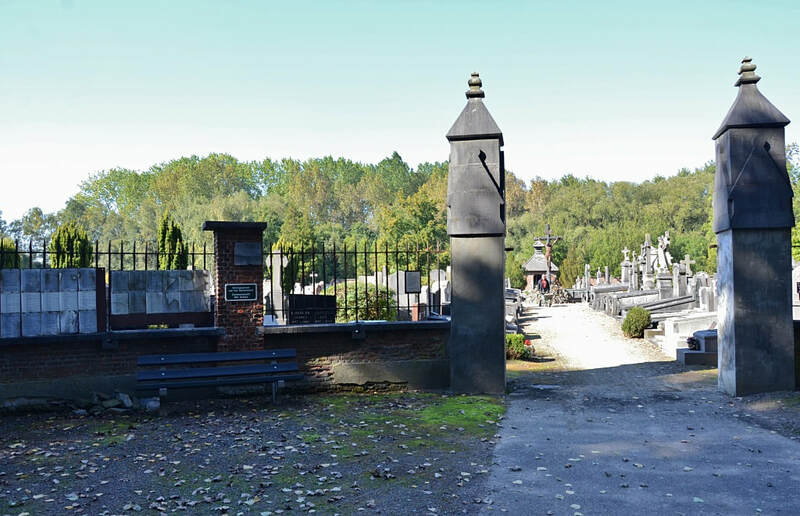 Bear left here and then take the first turning right into Mechelbaan, this road is signed to Mechelen. Follow this road over the first crossroads to the next main road on the left, called Bosstraat, turn left here to O.L.V.Waver. 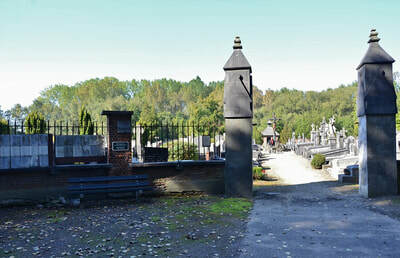 Take then the first road on the right called Kerkhoflei, the cemetery is along on the right. 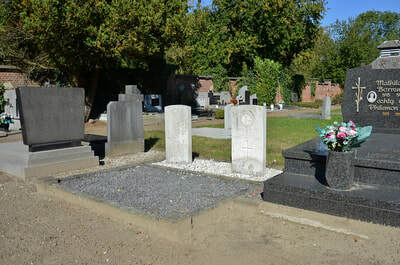 The graves are located towards the left hand rear corner of the old part of the cemetery. 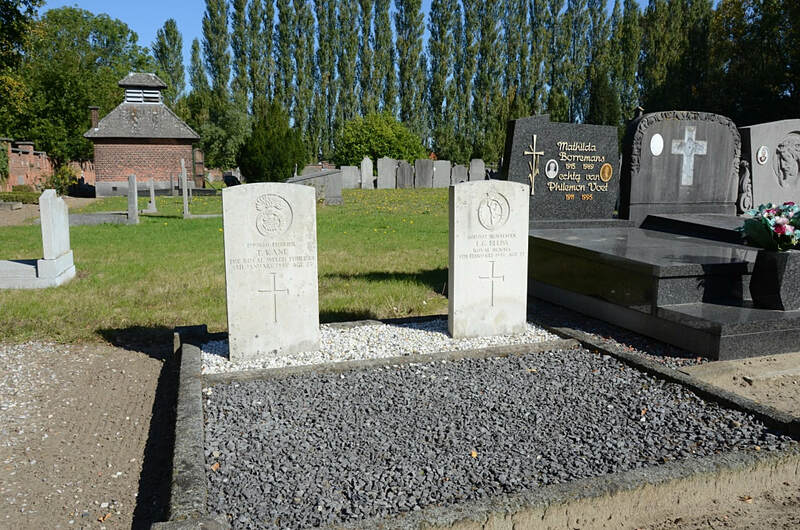 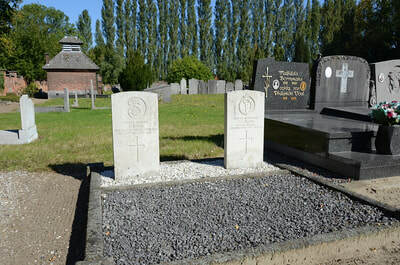 O-L-V Waver Communal Cemetery contains two Commonwealth burials of the Second World War. 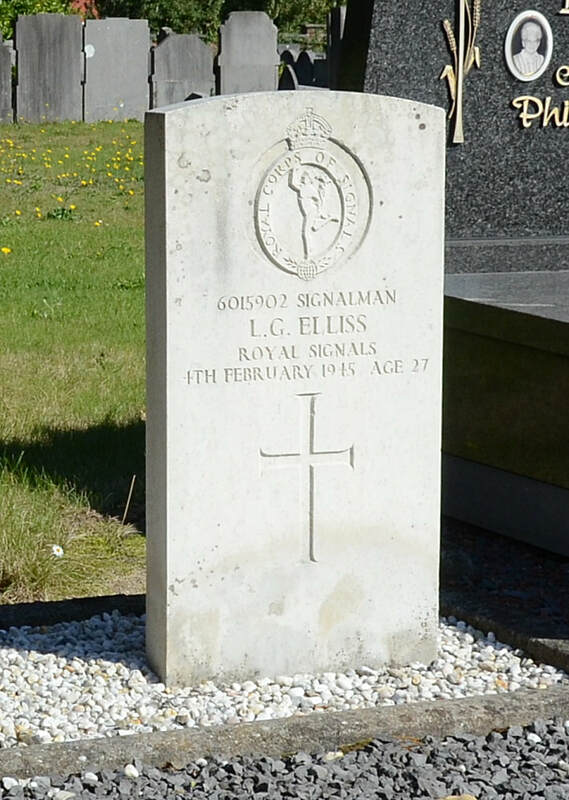 6015902 Signalman Lindsay Gordon Elliss, Royal Corps of Signals, died 4th February 1945, aged 27. 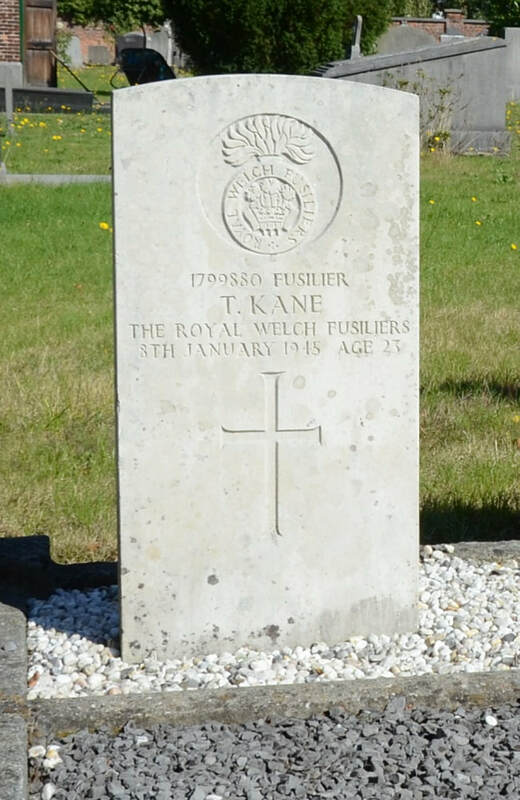 1799880 Fusilier Thomas Kane, Royal Welch Fusiliers, died 8th January 1945, aged 23.